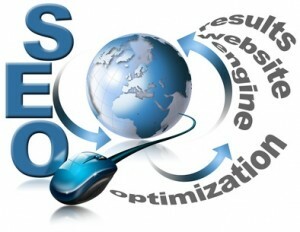 Place 100s of Links on a Page for More SEO Value: YES or NO? EVERGREEN, COLORADO– I think the number of internal links placed on one page is as debatable an issue today as it was a couple of years back, so I thought it would be good to dedicate my new post to this issue. On March 9, 2009, Matt Cutts, the head of Google’s Web spam team, wrote a post on his blog about the reasonable number of internal links that one could place on a single page. According to Matt, placing less than 100 links on a single Web page was a good SEO practice. At the time, Google would index only around 100 kilobytes of a page. Today, Google’s crawler is strong enough to index a lot more than just 100 kilobytes of a single page. That means indexing more than 100 internal links on one page is not a problem with Google anymore. So does it change the rule of the thumb of having fewer than 100 links per page? Let’s discuss this significant SEO issue in more detail so that we make sure we don’t place any more links than what’s reasonable, and build our sites in line with the Google quality guidelines. It’s always advisable to keep yourself abreast of the key SEO issues so that search penalties don’t bother you. Is More Than 100 on a Page Spam? Well, it depends. There are multiple sites that contain more than 100 links on each of their internal pages and yet Google doesn’t penalize them. But there are cases where Google might look at a page that has hundreds of links as being spam. The problem arises when you mess with Google’s quality guidelines. If a single page has tons of links that are hidden or crammed with keywords (for obtaining more SEO value), it’s a clear signal of indulging in spammy tactics. Otherwise, placing more than 100 internal links on a single page is not something that Google automatically considers as spam. According to many SEO professionals, it’s not the quantity of internal links on a single Web page that matters. What actually makes a difference is the ratio of the amount of content on a particular page to the number of links it contains. And the recommended content to links (read keywords) ratio is 10 percent. Technically, Google Page Rank of a particular Web page gets divided among all the links that it contains. Therefore, having tons of internal links on one page substantially reduces the amount of PR that each of those links pass along. Conversely, if a page has less links, each of the links will pass more PR. “At any rate, you’re dividing the PageRank of that page between hundreds of links, so each link is only going to pass along a minuscule amount of PageRank anyway,” Matt was quoted as saying in an interview with Rand Fishkin of SEOmoz. Let’s not go too deep into the flow of PR internally, as it involves a lot of mathematics. Maybe we can dedicate a new post to that topic soon. But There’s One More Thing! Confused? You can easily find sites where one page has more than 300 or 400 or 500 links. Many have 1,000 internal links on a single page. Let’s take an example. You visit a page that contains around 450 links. How many pages are you actually going to visit? If you truly fall for the content, you may be compelled to click three or four links; maybe six at the maximum, right? Hundreds of links might just bore you. But, who are you? It’s the user who remains above everything else. It’s the user that you have to keep at the top of your mind while placing multiple links on a page. It’s the user who you want to click those links. And you can’t bore or irritate the user by providing them with a huge list of links, can you? If the user isn’t pleased, Google won’t be either. Are the internal links on each of your site’s pages placed simply to increase the SEO value? Let’s talk back in comments. Thank you , what is the span of time for updating Google rankings? Absolutely, a single page can have up to 50 links which are good. I agree links is not easy to work. I know from my experience, it takes a lot of time and effort. That is an awesome post. You have really layed out your points in great detail. what must to doing to up google page rank?? You have provided us a good insight on number of links per page. Having too much links not only reduces the Page Rank but it also makes the look of a site spammy.